In 1860, Grosseto‘s public library was opened with a small exhibition of ancient objects lovingly collected by Giovanni Chelli. From then on, the museum has rapidly grown as more and more archaeological treasures have been discovered. Today, the museum spans across more than 40 rooms over three floors in the Palazzo del Vecchio Tribunale. The first couple of rooms are filled with Etruscan urns collected from nearby ancient cities Volterra and Chiusi, as well as ceramics from Orvieto including a one-of-a-kind 6th century BC bucchero vase carved with the alphabet. The next 11 rooms are dedicated to Roselle, an Etruscan city founded at the end of the Iron Age and Grosseto’s main archaeological site. The objects on display in these rooms date from the city’s foundation right up to the Augustan era when Roselle was the capital of the Etruscan Tuscan colony. Everything from votive deposits, tombs, wine barrels, Latin inscriptions, Roman statues and terracotta decorations dating between the 5th and 3rd century BC are on display here. On the second floor of the museum, you’ll find another series of archaeological objects from various sites across the territory. The objects stretch from the prehistoric era up to the Late Antiquity and include an Euboean geometric crater from Pescia Romana (730 BC) and an African wreck found in Giglio Porto – a fascinating relic that says a lot about the commerical trading activities of the Etruscans. Displays on this floor also document the cultural, lingual, scribal and funerary customs of the Etrucans, as well as innovations introduced by the Roman conquerors. 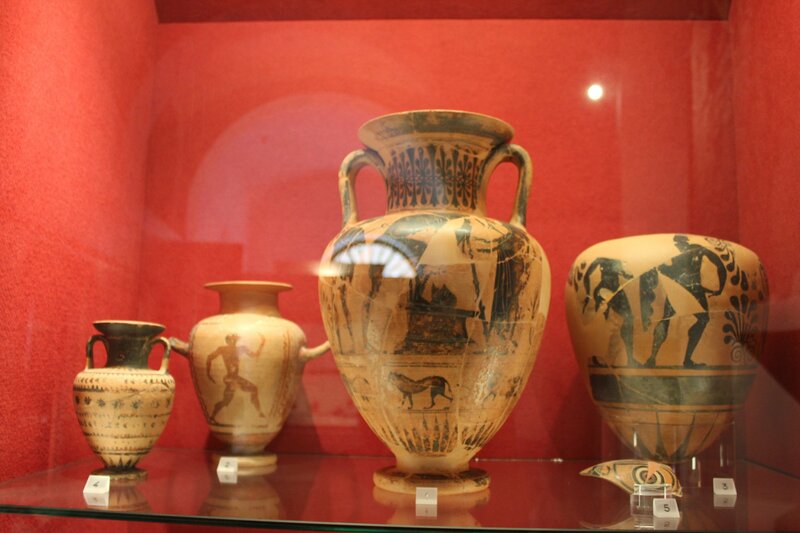 The last rooms of the museum, on the third floor, displays treasures found in Grosseto from the Middle Ages onwards. There is no museum in the Maremma that captures the territory’s history better, it’s as simple as that.